Sun burn is the effect of UVB radiation. The higher the SPF, the longer it will take for the sun to cause burning. However, applying often is still necessary regardless of the SPF. This is because sweat, pool or seawater can wash away protection, or it can be rubbed off by clothing. UVB causes skin cancer. Some sunscreens may be associated with dermatitis or other side effects. UVA radiation can cause wrinkles and deeper skin ailments. SPF does not cover UVA effects. That is why “Broad Spectrum” sunscreens are recommended. Zinc oxide and titanium oxide fit the best safety profile and are “reef friendly”. Skin reactions are most commonly associated with para-aminobenzoic acid (PABA)-based sunscreens and those containing benzophenones. Consider adding an anti-oxidant cream / lotion (like vitamin C and/or E) when sunbathing. What is all this SPF stuff anyways? SPF stands for Sun Protection Factor. It is a measure of how well a sunscreen will protect skin from UVB rays, the kind of radiation that causes sunburn, damages skin, and skin cancer. An SPF 15 sunscreen screens 93% of the sun’s UVB rays; SPF 30 protects against 97%; and SPF 50 protects against 98%. SPF ingredients basically delay the amount of time it takes to get a burn. For example a sunscreen with SPF 15 takes 15 times longer to get a burn compared to no sunscreen. That’s what the numbers mean. But remember, that’s in “a theoretical” sense. The practical sense is that sweat, water from ocean or pool, or simply clothes wiping of the sunscreen means frequent reapplication is necessary no mater what the SPF. The phrases “multi spectrum, broad spectrum or UVA/UVB protection” on sunscreen labels indicate that some UVA protection is provided. However, there is no validated scale (like for UVB) on how much protection against UVA is offered by the product. What is UVA & UVB? Ultraviolet A (UVA) is a long-wave ray and ultraviolet B (UVB) is a shortwave ray. More specifically, these are wavelengths shorter than visible light (not visible). These wavelengths are classified as UVA, UVB, or UVC. UVA rays are the longest of the three at 320-400 nanometers (nm). UVA is further divided into two wave ranges, UVA I, which measures 340-400 nm and UVA II which extends from 320-340 nm. UVB ranges from 290 to 320 nm. UV wavelengths shorter than 280 nm (UVC) are absorbed by the ozone layer and do not reach the earth. Why is knowing about UVA and UVB important? The peak action of damaging DNA (pyrimidine dimer formation) in the skin occurs at 300nm. It decreases rapidly at both shorter and longer wavelengths. This falls in UVB range. In a nutshell, it’s UVB that is responsible for skin cancer. UVA1: 340-400 nm and UVA2: 320-340 nm — Wrinkles, dermal ultrastructural changes, fibroblast abnormalities, other sun damage affecting the dermis. There are two basic types of sunscreen: chemical filters and mineral “blockers”. 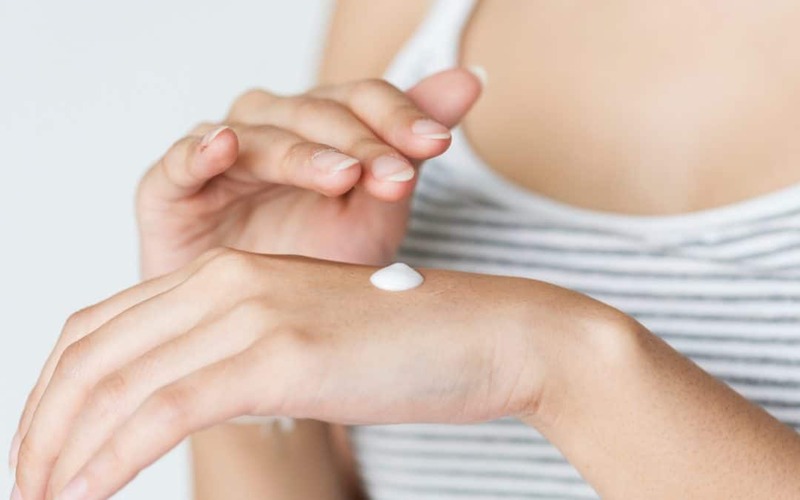 Many sunscreens contain chemical filters: two to six of these active ingredients: oxybenzone, avobenzone, octisalate, octocrylene, homosalate and Octinoxate. For the complete list of FDA approved chemical filters, their properties and side effects see below. The mineral blockers are literally little (nano) particles that deflect the rays. These mineral sunscreens use zinc oxide and/or titanium dioxide. Side Effects and Comments: Reef friendly. May become a photosentizer if absorbed by skin – which is still debated by researchers. Side Effects and Comments: May cause phototoxic or photoallergic reactions. Side Effects and Comments: May cause dermatitis. Side Effects and Comments: May have carcinogenic properties. Limited evidence of skin toxicity. Side Effects and Comments: May cause acne, dermatitis. FDA approved in 2006 for L’Oreal. Side Effects and Comments: Very rare reports of dermatitis. May cause DNA photodamage by creating free oxygen radicals. Requires to be used with UVA protectors. Side Effects and Comments: Found in grapes. It is a natural bird repellant. Only high doses (35mg/L) could potentially be toxic to fish. Considered food grade by FDA. Side Effects and Comments: Photoallergen, may cause dermatitis (more so in children). Side Effects and Comments: Shown to increase estrogen in cells. (possible incr in breast ca risk), decreases thryroid hormone. Persistent long term use not recommended. Side Effects and Comments: Related to aspirin. May cause allergy (rare). Side Effects and Comments: May cause dermatitis. Upto 8.7% absorbed and secreted in urine. Side Effects and Comments: May cause acne and dermatitis. The spray form is flammable. Side Effects and Comments: Related to aspirin (active ingredient in aspercreme and and myoflex creams); similar side efect profile as aspirin, but rare given it’s applied to the skin. Contact 1-800-222-1222 (the American Association of Poison Control Centers) if you think you have an overdose. The Science of photomedicine. Ed. J.D.Regan and J.A.Parrish. 1982. Plenum Press, New York. Ellison TI. Inactivation of the vitamin D receptor enhances susceptibility of murine skin to UV-induced tumorigenesis. J Invest Dermatol. 2008 Oct;128(10): 2508-17. doi: 10.1038/jid.2008.131. Epub 2008 May 29. Shimoi K. Enhancing effects of cinoxate and methyl sinapate on the frequencies of sister-chromatid exchanges and chromosome aberrations in cultured mammalian cells. Mutat Res. 1989 Jun;212(2): 213-21. Textbook of Cosmetic Dermatology, Fourth Edition edited by Robert Baran, Howard Maibach 2010, Informa Healthcare, NY, New York. Inbaraj JJ, et al. Photophysical and photochemical studies of 2-phenylbenzimidazole and UVB sunscreen 2-phenylbenzimidazole-5-sulfonic acid. Photochem Photobiol. 2002 Feb;75(2): 107-16. US EPA. Sunscreen The Burning Facts. EPA 430-F-06-013. Sept. 2006. “Protect Yourself, Protect The Reef! The impacts of sunscreens on our coral reefs” (PDF). U.S. National Park Service. Retrieved 1 July 2013. Gonzalez, H.; Farbrot, A.; Larko, O.; Wennberg, A. M. (2006). “Percutaneous absorption of the sunscreen benzophenone-3 after repeated whole-body applications, with and without ultraviolet irradiation”. British Journal of Dermatology 154 (2): 337–40. Hughes TM, Stone NM. Benzophenone 4: an emerging allergen in cosmetics and toiletries? Contact Dermatitis 2007 Mar; 56(3): 153-156.